Agreed re. the 112, the extension puts it up there with fellow NCR route 232 in terms of length potential for service problems - it will be especially prone to disruption if the A4/M4 goes down. If the A40 goes to pieces the de facto alternative is the A4, so the 112 will now have to deal with both, as well as the A406 linking the two. That said, after an awful period for the 232 Metroline seem to have just about nailed it - highways works at Clockhouse and Henly's Corner have definitely helped. Neasden and Wood Green are still problem spots, though. That said, I think the 112/232 would give the Piccadilly Line a good run for its money on a clear evening with a tight connection at Brent Cross. South Ealing to Arnos Grove, anyone game? Another possible idea would be to operate the 218 from North Acton to Sands End (the 391 is currently every 15 mins with SD so every 12 with SD should still cope) and extend the 209 from Hammersmith to Acton Vale or Acton high Street to create new links. Alternatively if Hammersmith Bridge ever gets sorted then DD the 218 (running as planned N Acton to Hammersmith) and extend it to Mortlake to remove the very high freq SD 209 with a more moderate 10 mins DD serving and axe the 306 and re extend the 391 to Sands End. Or just have the 218 run between Central Middlesex Hospital and Sands End via the what is the 440 now to Acton, the 266 in it's current form to Hammersmith and the 391 in it's current form to Sands End. Using double decks because no way single decks can handle the routing between Acton and Sands End especially when the District Line is down (which is often). 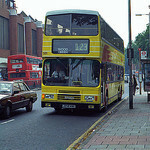 Plus the 266 really struggles during peaks between Acton and Hammersmith. This routing will still link Acton with Central Middlesex and creates new links between Acton and Fulham. I'm filling in the consultation, and route H98 is included in the 'how often do you use these routes' section. Am I missing a change to this route that is going to happen soon? The end to end running time for the 270 would only be in the region of one hour twenty minutes so I don't see that being a problem but I do agree that the E9 would probably be a better option for the Osterley extension. Not sure if it's been updated or Wether I just didn't see it but it says the X140 will run every 12 mins and every 15 on Sundays. That's quite frequent for an X Route. 112: As others have said, It'd become dreadfully unreliable and I would imagine a real knightmare to operate. Due to the A406, I'd leave it as it is and extend somthing else, namely either the E1 or E9. H32: Sounds like an intresting proposal once the Southall Waterside development is completed, I'll be intrested to see what they do with the road layout along Pump Lane though. E10: A very busy route which I believe has deserved bigger buses for a long time, presumably the stand at Islip Manor would have to be remodelled to allow bigger vehicles to turn. X140: Excellent idea, Can see the route benefitting a lot of folk in the Harrow, Northolt & Yeading areas. I mentioned an limited stop 140 on a thread a while ago, The 2 changes I'd possibly make are to extend it to Harrow & Wealdstone (as others have mentioned) and to have it run via the M4 spur and via Shepiston Lane ommiting Harlington Corner and the 'Freeflow Heathrow' scheme. 140: Disagree with cutting it at Hayes, it'd cause a lot of inconvenience to passengers along this busy route who require not only the Airport but other stops along the route not served by the X140. The majority of people travelling to/from the Airport will just want to get there, as they will be heading to/from work so time will be at a premium or those with luggage, the last thing these will want to be doing is lugging all that off one bus and onto another at a busy stop, such as Hayes Station. 278: I like the sound of this route, however, as I disagree with the 140 proposal, I'd personally extend the H98 instead. Along the Uxbridge Rd, I'd divert it up Angel Lane/Morgan's Lane so serve it's current terminus along Kingsway and along the West Drayton Rd back along the Uxbridge Rd and via the proposed 278 route to Ruislip. That way the H98 would finally get it's double decker allocation, Only thing is Long Lane during the rush hour can be a right mare, can often take up to 45 min to get from the Uxbridge Rd to the Master Brewer juction on a bad day. 223: Seems a waste to cut it at Northwick Park just to make space for the X140, don't use it that often, but could be extended to Rayners Lane or North Harow to keep the Harrow connection? I suppose Crossrail's selling point is that East/West gets easier access to the West End and the Canary Wharf areas, all these bus route changes are designed to get passengers to the nearest Crossrail Station. However it might just be me but, if for example I lived a stones throw from Hillingson station, I wouldn't spend 30-40min on a 278 bus getting to Hayes for another 34min Crossrail journey to Canary Wharf, when a 40min tube journey on the Met/Jubilee lines would get me almost half way to Canary Wharf by the time I've alighted from the 278 bus. I might be looking at it in the wrong way, but that's my take on it! I agree and I can't imagine people will be embarking on long bus journeys to get to Crossrail rather than use the nearest station. 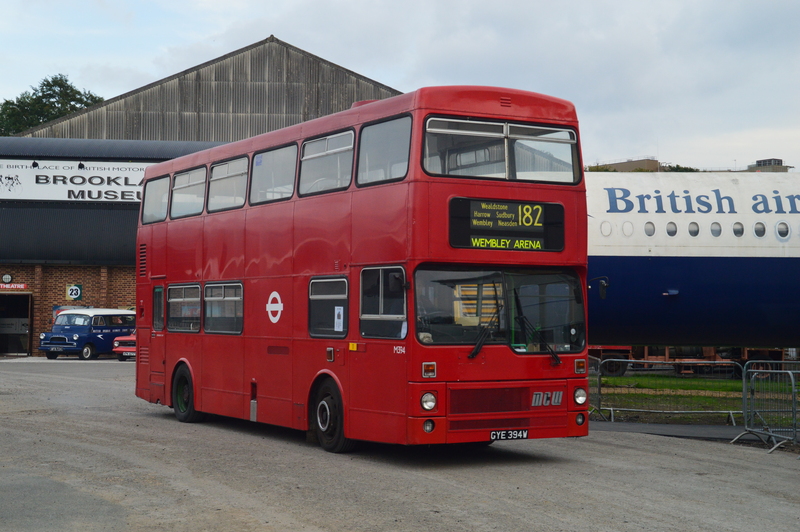 The purposes of the 278 seem to be threefold - provide a replacement between Hayes and Heathrow Central for an all stops 140, and satisfy two local authority aspirations - a service along Long Lane, and a direct Heathrow bus from somewhere other than Uxbridge. Very few people will use it end to end, but along its length it will provide many overlapping local journeys. Hopefully a bit of bus priority along Long lane will reduce journey times; I understand it used to be one of those 3-lane urban highways in parts once? I am still working my way through this lot of proposals but the 112 seems to be superficially good until you consider the traffic conditions that can and do occur all too frequently. I'd extend the E1, at its planned reduced frequency, down there. It provides cross Ealing links, frees up stand space at EB and should be less exposed to traffic conditions. I also don't understand the quoted stand issues as a check on Streetview shows a multi vehicle TfL stand on the link road adjacent to Tescos. Buses could also run up past Sky, and subject to agreement, turn at a large roundabout shown under construction on Streetview, just past the Sky shuttle bus stand. OK there wouldn't be a common stop with the H28 but that's hardly a crisis is it? Views on the rest when I've thought some more. Also worth noting that the U5's AM peak enhancement kicks in this September which rather suggests someone, somewhere got their calculations wrong or demand has gone bananas since the double deck conversion. TfL's logic seems to be that E-W jnys transfer to Crossrail and access is via enhanced N-S routes reaching stations. Problem with that is that the Crossrail service pattern is skip stop in West London rather than all stations. Therefore travel between adjacent stns is impossible without going *two* stops and travelling back on yourself. How they reconcile this stopping pattern with "reduced demand on the Uxbridge Road" I know not. Most Crossrail stations are away from the main Uxbridge Road "drag" and there is a vast amount of housing and retail on or near that corridor. I think the 427 decision is ludicrous. Still not sure about this 140/X140 thing. The impact in Harrow town centre is undesirable given the effect on the 223. I agree that a short extension beyond Harrow Town Centre might help matters. The only people who have "overbussed" Harrow - Northwick Park is TfL. The buses don't turn up out of nowhere of their own volition. I just wish they'd tell the truth that it is stand space that's the issue. Even if they extended the X140 to H&W is there stand space there? I'm not sure there is. Like you I am not convinced about the impact of cross Hayes traffic of turning the 140 there and assuming people are on the X140, jumping on Crossrail or waiting for a 278. Part of the attractiveness of the 140 is that it is a long yet high frequency service. Anyone else would be turning this into a bigger success story. TfL, though, break out their hammers and start smashing it to bits. I can't conceive why you'd do this. 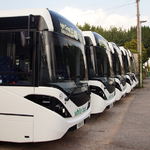 No commercial operator would - look at all the highly successful longer urban routes there are run by the stand out commercial bus companies. TfL have an opportunity to revise some of these plans , and I hope they do this time through listening to the consultation responses. The west side stations aren't opening until 2019 earliest , so I'd imagine things will remain as they are at the moment for almost two more years. I couldn't agree with you more - as a regular user of the 140 I've been of the opinion that an express variant has been needed for a while, but not at the expense of the original route. The 140 is a ridiculously busy route, you can pretty much guarantee a relatively full bus at any time of day (most obviously peaks and Saturday/Sunday mid-afternoons) and no kind of frequency increase alongside the X140 probably won't help this. TFL have been insistent to not spend any more money on the 140 by not giving it the frequency increase that it really needs but are now not really solving the issue by spending more money! I would personally increase the frequency of the 140 but leave the route as it is - have the X140 running parallel (in fact as 140s stand in Harrow Weald garage itself they leave the main on-road stand there free). Travelling to Heathrow on the 140 before wasn't particularly pleasant because of the ageing VPs (egg my house if you must but I'm a new-bus bod ) but with the new VWHs the route presents a very attractive option to cross West London, if a little time-consuming. Might I add though: the 105 is longer and has to deal with Southall traffic but they're not cutting that! The other option to the outcome of this change is that the X140 takes all the 140 passengers, 607-style, and renders the 140 a pointless stub-route. I'd be curious to the result. What would be VERY nice would be if the X140 could divert Harrow-South Harrow via a certain school with near-enough 1500 students to help alleviate that stress because that can be fairly mental.